Bio Source Naturals Body-Mind Lotions compliment work done by energy healers such as TAT, Emotion Code, EFT Tapping, Emotional Freedom Technique, Meridian Tapping Technique, Reiki, Neuro-Net, and The Reconnection. 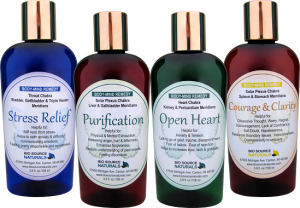 Body-mind remedy lotions compliment chiropractic care, psychological counseling, and massage. How Do The Body-Mind Lotions Work? Bio Source Naturals Body-Mind Lotions were developed by a Naturopath (Natural Health Practitioner) who specializes in alternative medicine, mental health treatments. In her practice as a holistic therapist, she developed remedy lotions containing body mapped Bach flower essences, elixirs and pure essential oils to move stagnant physical and emotional energy (qi) from the energy channels & centers of the body (meridians and chakras (prana energy)). Organic Aloe & Sunflower Seed oil base gives quick absorption into the skin. Similar to herbal tinctures but of flowers, flower essences transfer positive patterns of emotional and physical energy. Our flower essences are as they were developed and discovered by Dr. Edward Bach over 70 years ago in the United Kingdom. Several scientific studies in the UK have proved the effectiveness of flower essences. Flowers, the glory of creation, stimulate the release of blockages to our spiritual and emotional evolution. More than just pleasant scents, essential oils are understood to stimulate the amygdala gland in the limbic system where emotional memory is stored. Each scent stimulates the release of specific types of emotions. Applied onto the skin over the meridians and chakra areas of the body. 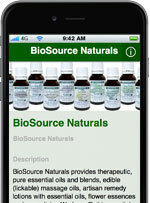 BioSource Naturals Body-Mind Lotions contain 100% pure, therapeutic quality essential oils. Our body-mind lotions also contain gem elixirs which are liquid preparations containing the vibrations and energy of a gem or mineral. It stabilizes and complements flower essences and balances subtle bodies such as the chakra and aura. 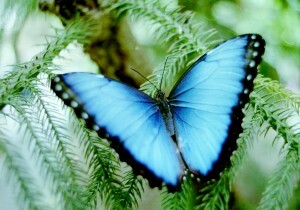 They aide in the shift in consciousness and increase spirituality. Artisan made in the sunshine at the Great Lake Huron. Based on the work of Dinshah P. Ghadiali, each chakra and meridian responds to a specific color. Colored light, which is visible energy on the electromagnetic spectrum, charges the lotion to enhance the lotion effects. Body-mind lotions enhance EFT, Meridian tapping Therapy, TAT, massage, Emotion Code, Neuro-Net, Reiki and other energy therapies. Each chakra and meridian reacts to specific sound frequencies or musical notes. This sound energy is imparted to our remedies to enhance and complement the flower essences, gem elixirs and aromatherapy in our body-mind lotions. Made with love and intention, each batch of body-mind lotion is blessed with a prayer for healing for those that use it. Our body-mind remedy lotions have a beautiful, therapeutic aroma which can be applied during your morning routine and at night before sleep. No bottles to carry, no pills, and no waiting before and after eating like most homeopathic remedies. A perfect compliment to EFT Tapping, prayer, meditation, counseling, chiropractic, energy psychology, massage.